Last edited by Lumma; 08-18-2011 at 06:33 AM. I really like the car and there are plenty of buyers who do too. I wish you guys would stop firebombing these threads with hate mail and death threats. . . The title of the thread is "official photo thread" meaning people come in here to see pics of the car not to hear babies cry because their feelings are hurt. Go somewhere else and complain. On another note, the interior on this thing is out of this world. I want to see more of the tuscan brown colored leather - post em up! Let's start this off with a shot I took on Pampelonne Beach in Saint Tropez last week. 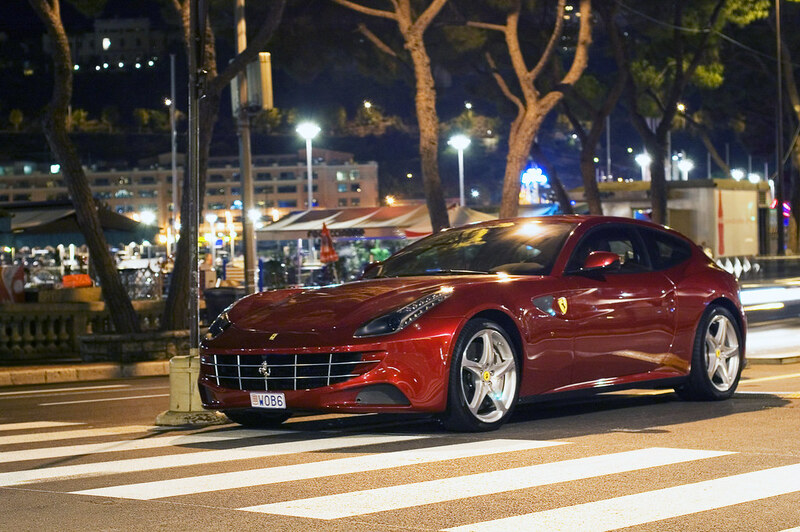 I was in St Tropez a couple of weeks and saw a red FF, thought it'd be this Monaco one but it had different plates, was probably that one! This is an official FF picture thread. If you don't like the look of the car, then why are you here? Let the people who like the looks of the car enjoy this thread, will ya? why don't you tell that to the Pininfarina designers and see what they have to say? To me, the FF like a woman with great personality but with less greatness in appearance department, wich made me really really curious to what the designer thinking when they design this car from the very beginning. I like this car, I like the performance, the technology, the detail of the design (in part, not as the whole unit), maybe if I understand the story behind the design I will like the design also. we have an FF at our dealer here...another one in Starnberg. If they would have put an V8 in it and lowered the price a bit,I guess a lot of Panamera Turbo S customers might have thought about going one step further ..
you just have to get used to it..looks quite good in the flesh!! I'd drool over a smaller, sportier, V8 version .. a younger cousin. 2 seats + wagon like the M Coupe.